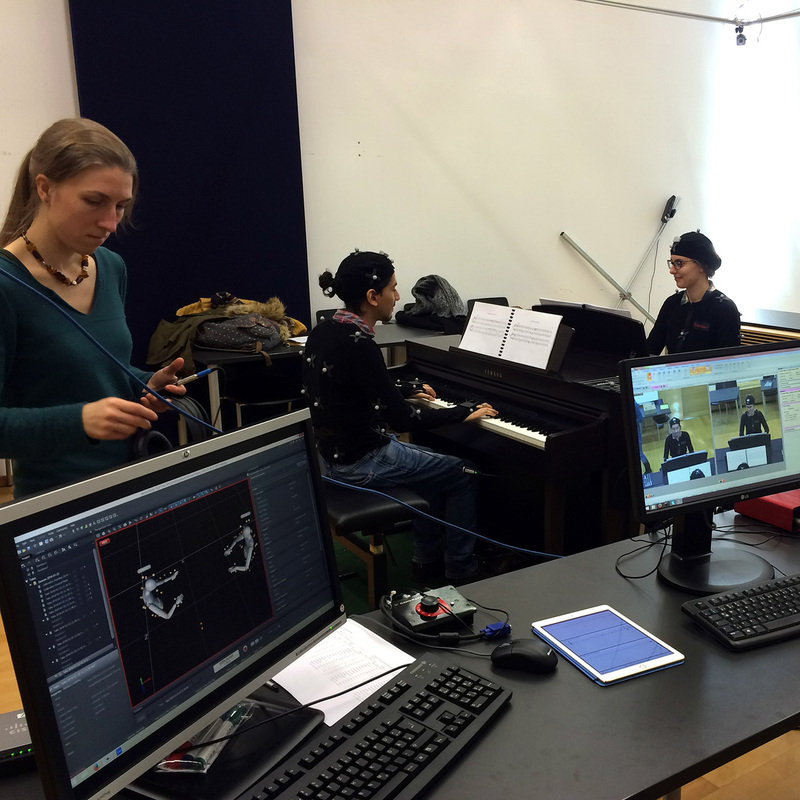 We use a passive optical motion capture system to monitor the body movement of individual musicians or music ensembles up to four players. Our system is an Optitrack by Naturalpoint with 12 Prime 13 cameras, able to capture up to a rate of 240 frames per second. 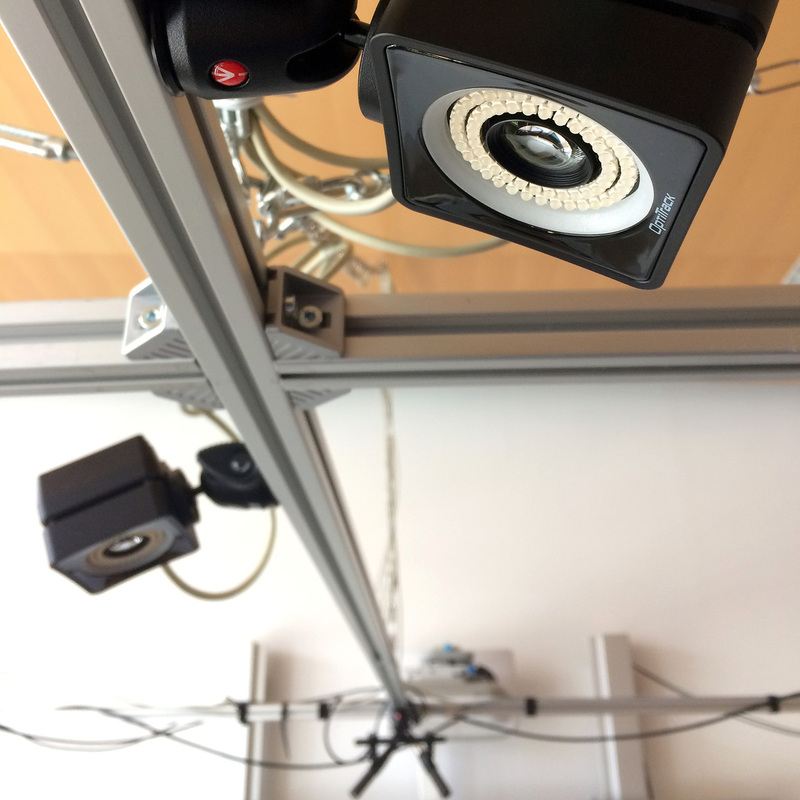 To videotape the participants in parallel with the motion tracking, two Basler acA2000-165uc high-speed color cameras are synchronized on a frame-by-frame basis with the help of an Optitrack eSync2 that sends a mutual trigger to both systems. The video recording is accomplished with StreamPix by Norpix recording the data stream of both cameras on a SSD hard disk. 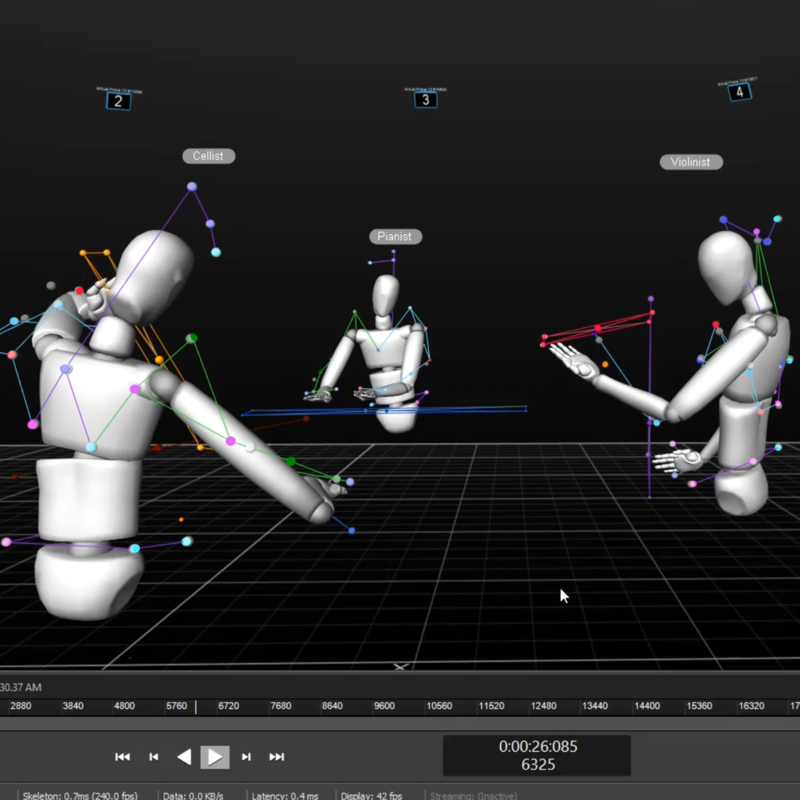 We have also synchronized the motion capture recording with our eyetracking goggles using again the Optitrack eSync2 as central trigger-sending device. Bishop, L., & Goebl, W. (2017). 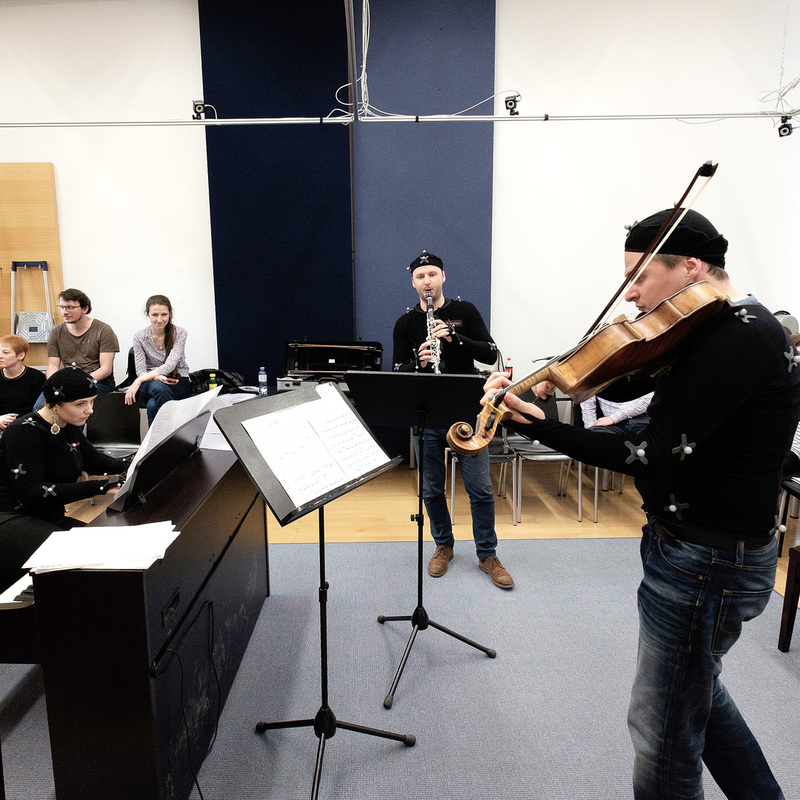 Mind reading during ensemble performance: Communicating with nonverbal signals. In U. Hemetek & C. Szabó-Knotik (Eds. ), Best of isaScience 2013–2016. An Interdisciplinary Collection of Essays on Music and Arts (pp. 111–133). Vienna: Hollitzer Verlag. 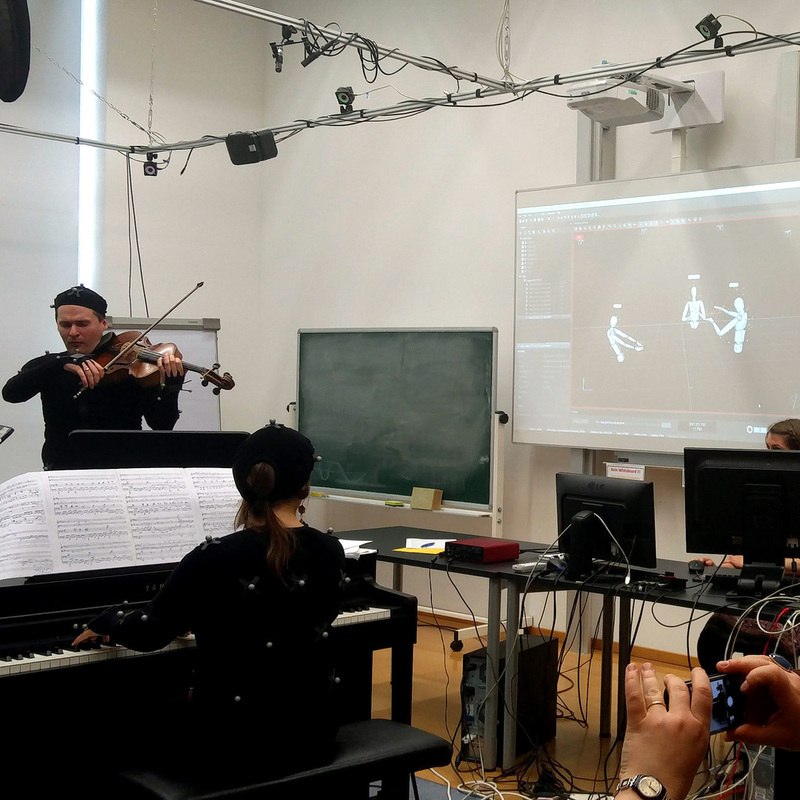 FWF P24546: Synchronization and Communication in Music Ensembles (INSYNC) und FWF P29427: Coordination and Collaborative Creativity in Music Ensembles (CoCreate).